Diethylpropion is a prescription appetite suppressant that is considered potentially habit forming. It is regarded as a schedule IV controlled substance in the US and a class C drug in the UK. It is not recommended for use in anyone under age 16 but it is used in low doses for some patients aged 65 and older. As with all members of the sympathomimetic amine anorectic drug class, diethylpropion stimulates the body’s stress response system in order to decrease appetite. When any drug in this category is prescribed as a weight loss aide, it is intended only to act as a supplement to diet and exercise for those who struggle with obesity. The active ingredient in diethylpropion tablets is diethylpropion hydrochloride, whose chemical name is diethylpropion hydrochloride is 1-phenyl-2-diethylamino-1-propanone hydrochloride or hcl. It is a sympathetomimetic agent, meaning that it is similar to amphetamines in both chemical structure and action. Diethylpropion is also known as amfepramone and is sold under the generic name diethylpropion hydrochloride. It is currently available as several brand names including Anorex, Linea, Nobesine, Prefamone, Regenon, Tenuate and Tenuate Dospan. It was also available as Tepanil but this brand has been discontinued. 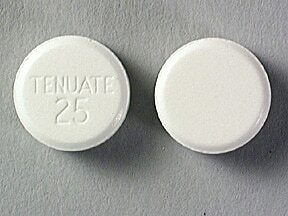 Diethylpropion functions as a prodrug, requiring metabolism by the body in order to form the active drug known as ethcathinone. This stimulates the release of the neurotransmitter norepinephrine, leading to its characteristic spectrum of neurologically mediated activity. As this drug targets monoamine transporters, diethylpropion may cause interactions with other drugs also aimed at these same targets such as certain antidepressants. Diethylpropion is available as orally administered tablets in both short-acting and extended release formulations. The standard formulation is one 25 mg tablet taken orally three times daily, one hour before meals. The extended-release form is only taken once daily, as a single 75 mg tablet. Diethylpropion is recommended for only short-durations of use, in the range of 12 weeks or less. Diethylpropion was first approved for use as a diet aide in the United States in 1959 but has never been a popular there or abroad. It was originally marketed as an effective weight loss aide free from side effects. By 1967, however, studies had shown that only single dose administration was associated with a lower occurrence of side effects and that its use over the weeks required to attain weight loss showed side effect rates at least as high as other sympathomimetics. Diethylpropion is a stimulant and brings along with it the host of uncomfortable and often dangerous side effects associated with this class of drugs. While the unadvised use of excess pills or changes in dosing may be associated with an increased risk of side effects, any or all of these unintended outcomes may arise from use of diethylpropion even at prescribed doses. Diethylpropion stimulates the heart, which can cause a sense of palpitations or rapid heart beat. If this effect is sufficiently strong or occurs in the presence of any existing heart problems, this can lead to the chest pain associated with lack of sufficient blood flow to the working heart muscle. The effect is similar to that experienced during a heart attack, the most frequent cause of death in stimulant drug overdose. Other unpleasant side effects that may arise with the use of diethylpropion include anxiety, restlessness, dizziness, nausea, dry mouth, bizarre tastes in the mouth and an increased frequency of urination. More worrisome effects are those that require immediate medical attention such as blurred vision, chills, sore throat, fever, painful urination, skin rash, itching and any symptom related to the heart. In addition to palpiatations and chest pain, some other symptoms that may be due to effects on the heart include swelling of the feet or ankles and difficulty breathing. 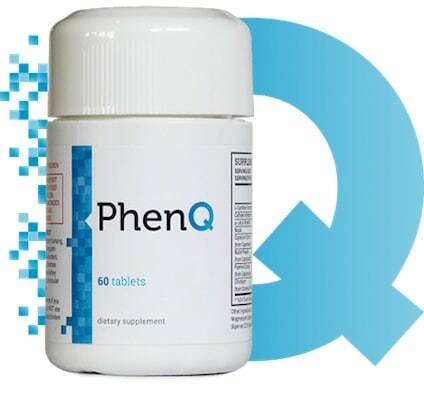 This drug is not safe to use for anyone with a history of high blood pressure, heart disease, an irregular heartbeat, kidney problems, a history of seizures or allergies to foods or other substances. It is also not recommended for use in anyone who has used another diet aide within the prior 12 months or who takes any other diet aides such as herbal supplements. Learn about every diet pill under the sun at the home page: http://www.leanbodylook.com/.